When it’s time to hire a heating and cooling company in Escondido CA, there are many things you will need to look for. At 1st Choice Plumbing Heating & Air we are proud of our services and the experience we have to offer our clients. We also want to ensure that they are choosing the right company for their needs. Following are the five steps we recommend taking before hiring an HVAC company in Escondido CA. You can also call us at 866-437-0205 to get the process started right away. You do not want an HVAC technician that has never worked in the industry before. You want professionals who have completed at least a few jobs. If you are dealing with a company that does not have experienced techs, then you can count on them not being up to date on the latest innovations in this industry. You need a heating and cooling company that is properly credentialed. Any company you are considering should be happy to provide you with the information you request. For example, at 1st Choice Plumbing Heating & Air we publish our license numbers on our website so that you can check into our reputation: CA LIC #972962 IICRC #181923. We also publish our top rating from Home Advisor and details on our 4.9-star-rating after 54 reviews from customers. One of the many reasons that we believe we offer the best service in the area is that we offer upfront pricing. Some companies will give you a basic idea but do not want to put anything in writing. They do not want to give you specifics. They may give you a range of prices, only to find when it comes time to pay the invoice that you are being charged much more. This is not an issue with us. We give you upfront pricing so you are never surprised by hidden fees or charges. It used to be that the only way to verify the experiences of past clients was to ask a company for references. This is no longer the case. Today, you can find out nearly anything you need to know by searching for online reviews. That said, we can provide references if requested. Finally, you will want to look at third-party reviews. We believe you can learn a lot by reading testimonials on a company’s website but we also believe that truth more often comes out at a third-party review site. Take a look at the reviews and note what is consistent. 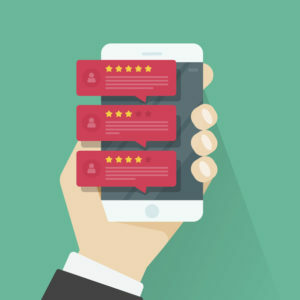 If a company has one negative review but hundreds of positive reviews, then it is likely they are providing good service. We hope that you will do your due diligence and choose 1st Choice Plumbing Heating & Air, a top company in the area. Call us now at 866-437-0205 to request your free estimate.